Beckett Message Boards - 1 Pack/Box of Ultimate.... Oui Vey! 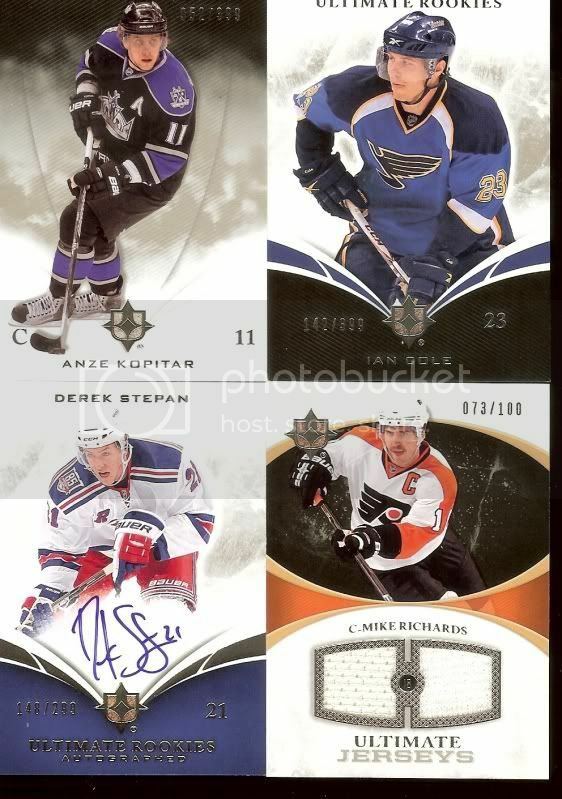 Beckett Message Boards > Hobby Talk > Hockey > Box Breaks > 1 Pack/Box of Ultimate.... Oui Vey! Full Version: 1 Pack/Box of Ultimate.... Oui Vey! The Ultimate breaks have been MISSES this week. Check my organize, I would love a shot at the Stepan! Stepan isn't too bad. But too bad about the Richards since he is now a King probably not much of a market for it. Stepan isn't too terrible. Ian Cole has NO business being in this set.